MILLIONS of computers around the world could go into meltdown on April 1 because of a deadly virus. The Windows worm called Conficker could give a hacker unrestricted access to every infected machine on the planet. And the aggressive bug could be hiding on your PC at home right now, waiting to kick in. For the hackers, it’s like having a virtual army at their fingertips. The criminals behind it have the power to launch a tidal wave of junk emails, bringing computers grinding to a halt. They could also plunder information, including your bank details. But the truth is that the best techie brains in the business just don’t know exactly what the hackers have in mind. Microsoft, who developed the Windows computer operating system, have slapped a £175,000 bounty on whoever is responsible, so far without success. The sophisticated Conficker bug — also known as Downadup or Kido — targets systems via the web and can be spread on memory sticks. More than nine million computers were infected at the bug’s peak last month. And if Conficker is still on your system come Wednesday, you could be in trouble. Once inside your PC, it sets up files and starts downloading information from a controlling “boss” server. Finding that website and the mastermind behind it all is like looking for a needle in a haystack. That is because the bug creates hundreds of bogus addresses every day to put investigators off the scent. The infected PCs then form a network and “talk” to each other, updating and evolving. 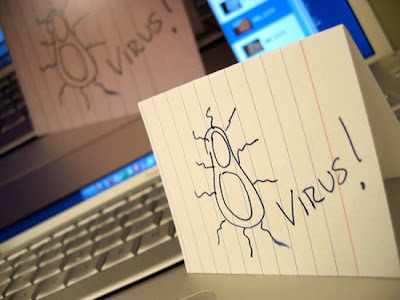 The bug even attacks anti-virus software and other files on your computer to strengthen its position. And it resets “restore” points, making recovery of your old system even harder. The first of three Conficker strains was discovered in November last year. A second, more aggressive strain followed in December and a third this month. This contains the all-important April 1 trigger. 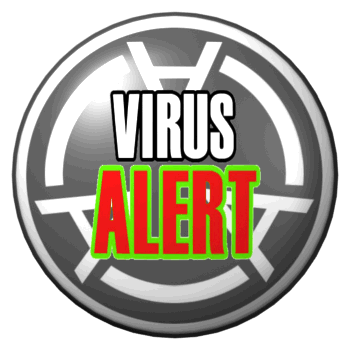 To avoid infection, Windows users must download a special free update “patch” from the Microsoft website. But that isn’t enough — you also need good anti-virus software too. Many businesses around the world are thought also to be at risk after failing to update systems. Graham Cluley, from computer security firm Sophos, warned: “Microsoft did a good job of updating people’s home computers. F-Secure’s Mikko warned potential problems with Conficker would be highlighted wildly before April 1. But he said he didn’t foresee an attack, despite the fears and mystery surrounding the problem. He said: “There’s always hype — just think of previous cases. “There is not going to be a ‘global virus attack’. We don’t know what they are planning to do, if anything. Let’s hope, for everyone’s sake, that it turns out to be an April Fools’ Day hoax. TEST your system’s safety for free by attempting to go to f-secure.com. If you can’t, you can download the patch at microsoft.com to disinfect your PC.